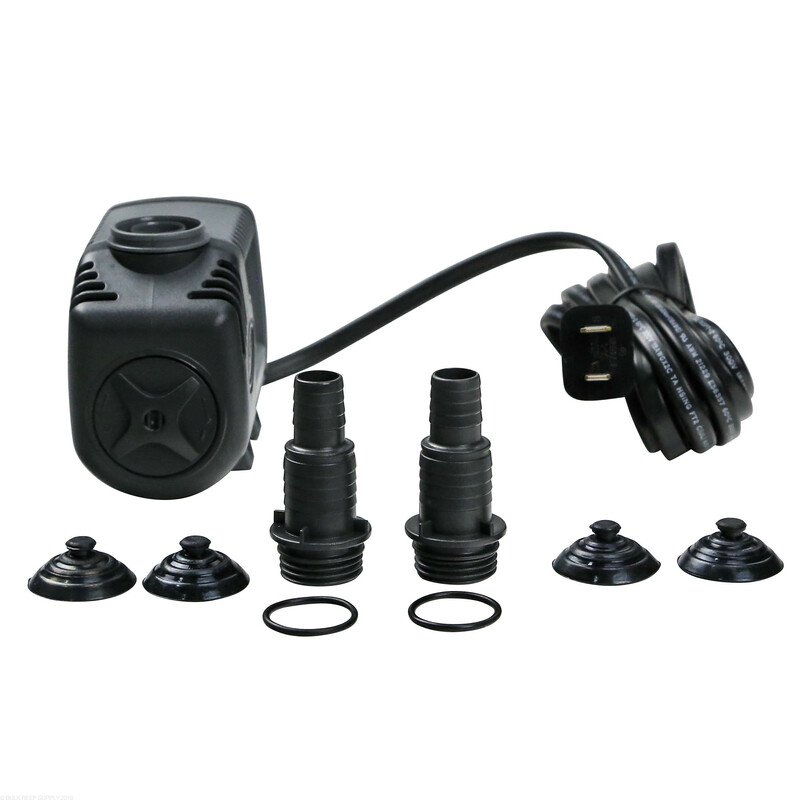 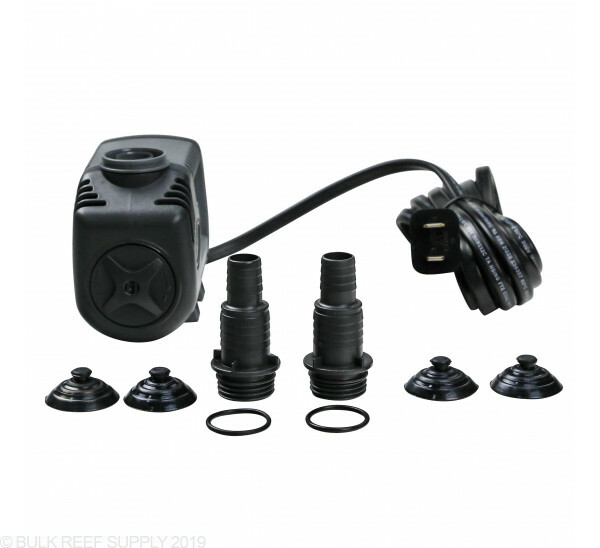 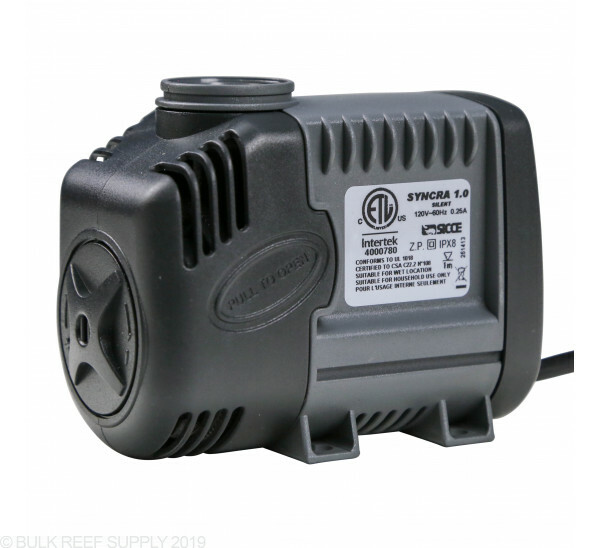 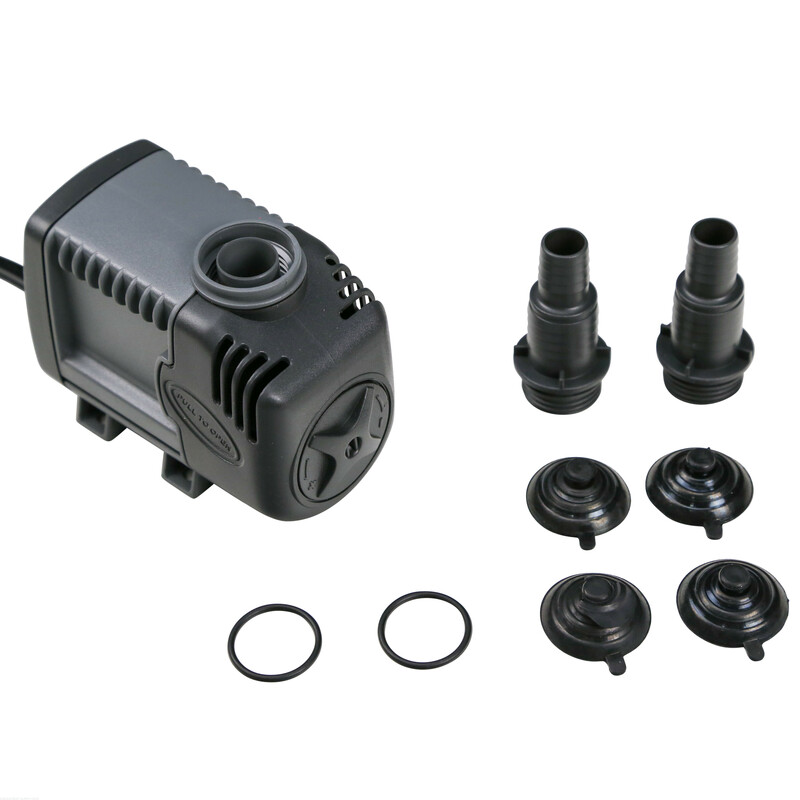 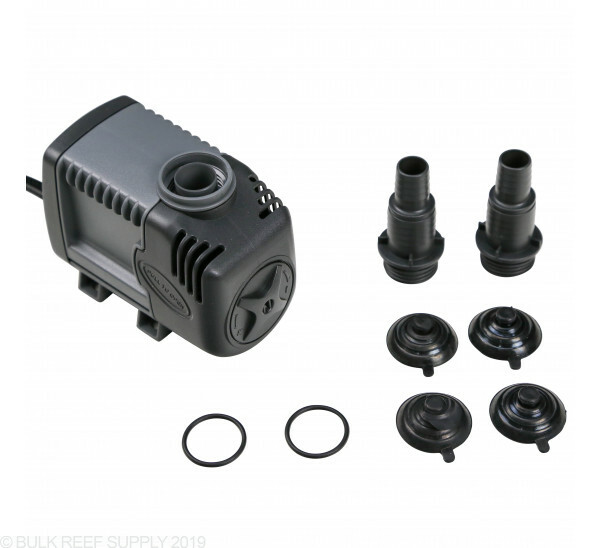 The Syncra Silent line of pumps come in many different sizes and will fit most tank needs. 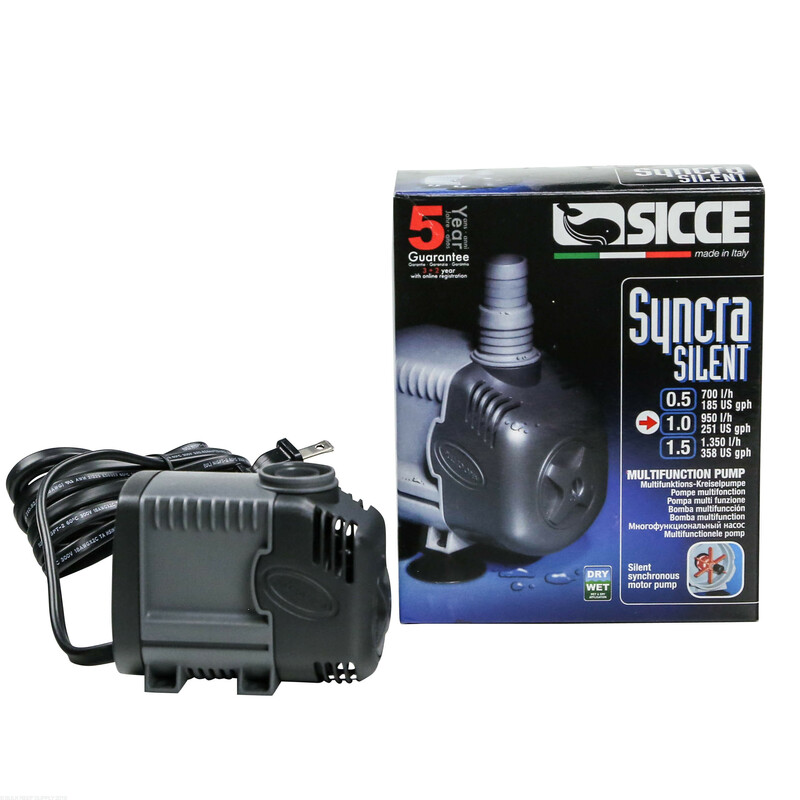 Sicce uses high-quality magnets in their pumps, which allows them to spin smoother with less noise than almost all other pumps in their price category. 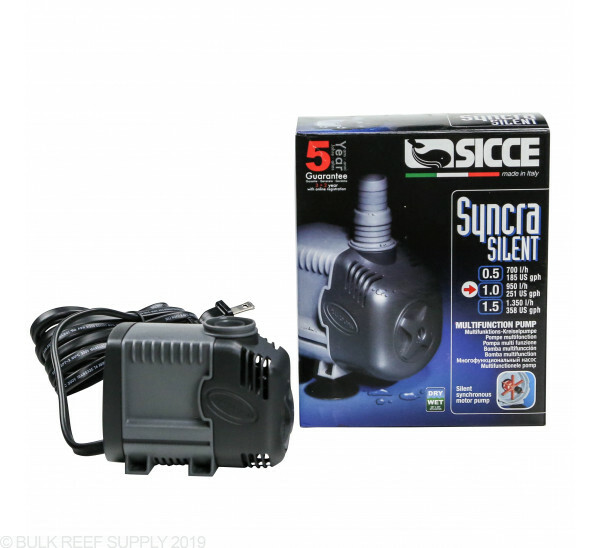 If your tank needs a high flow return pump, or a smaller pump for a low flow reactor our first choice will always be Sicce. 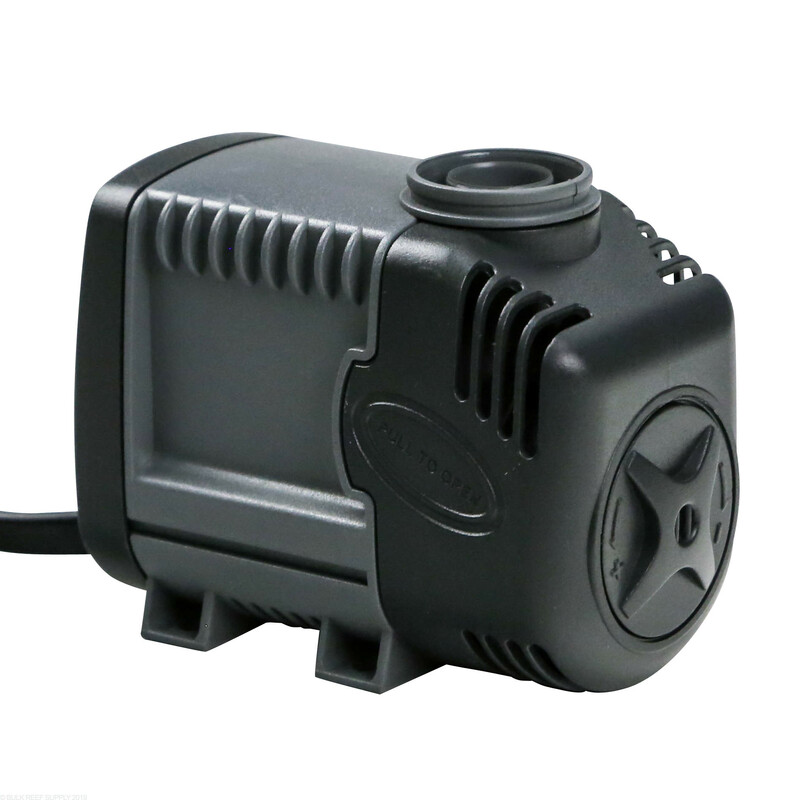 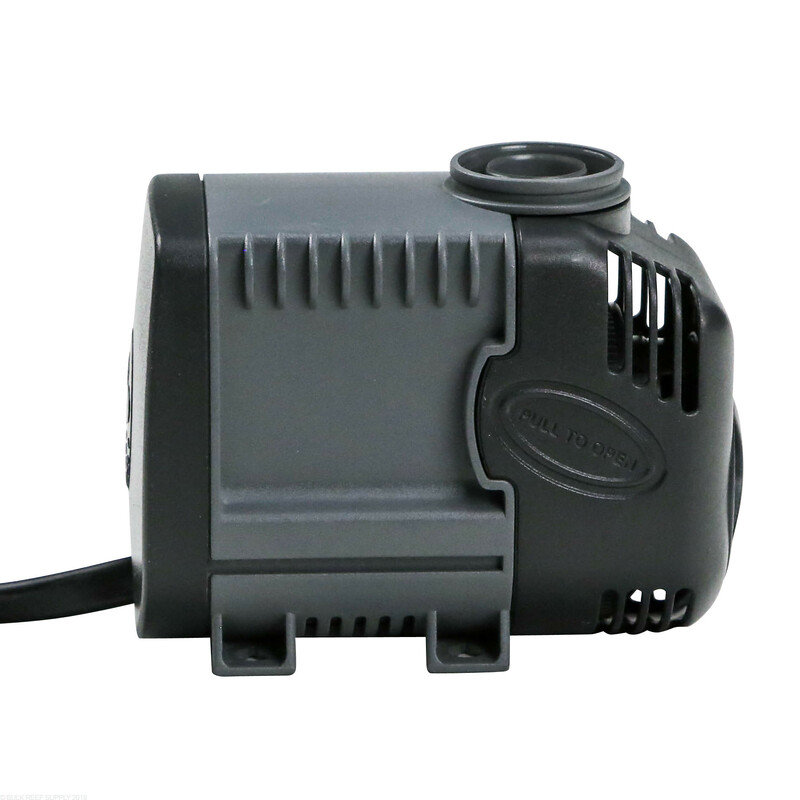 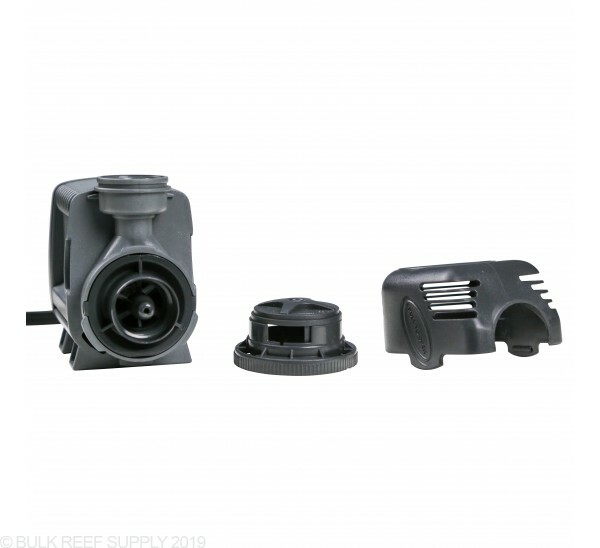 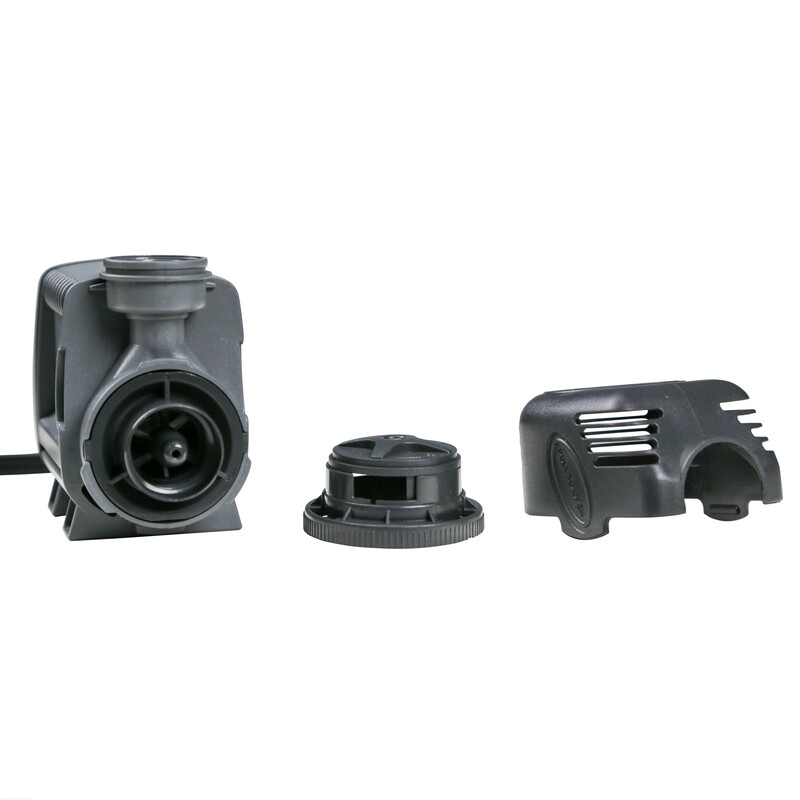 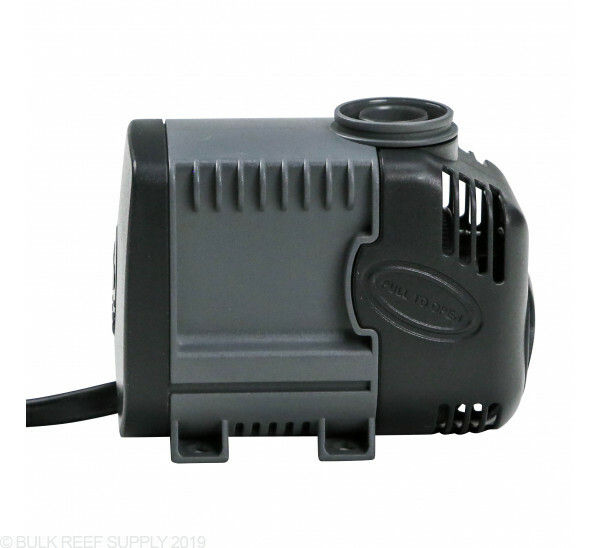 Quiet, energy-efficient pump for a variety of uses in wet or dry application. 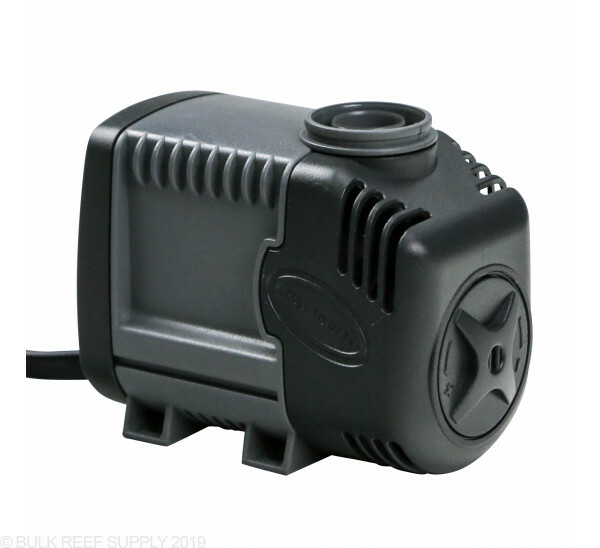 Use in salt or freshwater. 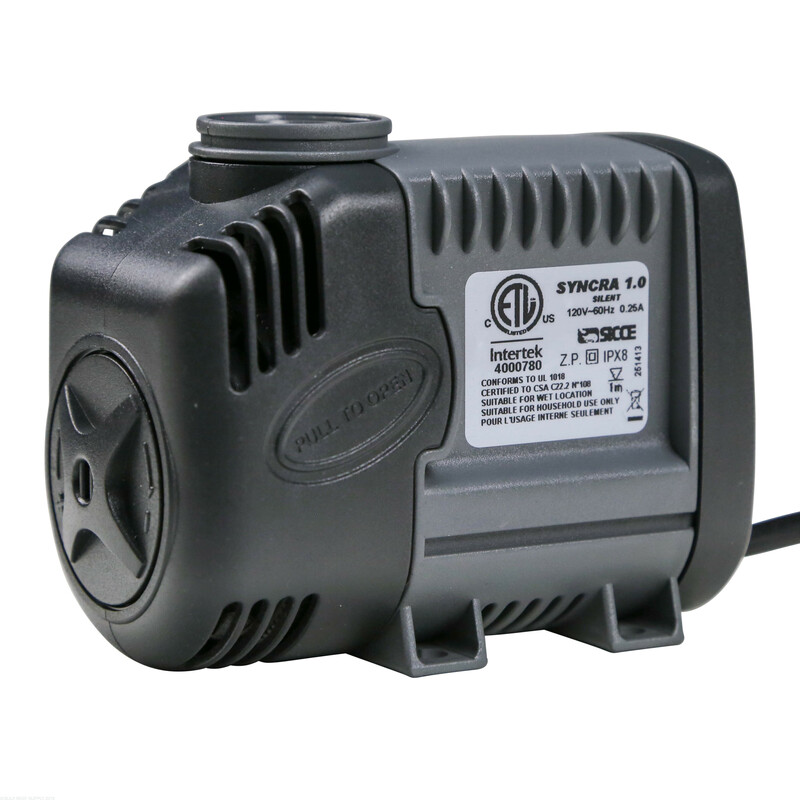 Dimensions: 3.54" x 1.89" x 2.83"
0.5 185 GPH 8W .12 4 Ft 0.5" - 0.7" 3.5" x 1.9" x 2.8"
1.0 251 GPH 16W .25 5 Ft 0.5" - 0.7" 3.5" x 1.9" x 2.8"
1.5 357 GPH 23W .43 6 Ft 0.6" - 0.8" 4.0" x 2.4" x 3.1"
2.0 568 GPH 35W .65 6.5 Ft 0.8" - 1" 4.8" x 3.3" x 4.1"
3.0 714 GPH 48W .43 9.9 Ft 0.8" - 1" 4.8" x 3.3" x 4.1"
3.5 660 GPH 68W .7 12.5 Ft 1" - 1.2"/0.8" - 1" 6.8" x 3.9" x 4.6"
4.0 951 GPH 85W .85 12.5 Ft 1" - 1.2"/0.8" - 1" 6.8" x 3.9" x 4.6"
5.0 1321 GPH 105W .95 12.6 Ft 1" - 1.2"/0.8" - 1" 6.8" x 3.9" x 4.6"
HF 10.0 2500 GPH 145W 1.7 16.4 Ft 1" Barb - 1" MPT 11.38" x 6.29" x 6.69"
HF 12.0 3200 GPH 165W 1.9 17.05 Ft 1.5" 11.38" x 6.29" x 6.69"
HF 16.0 4200 GPH 190W 2.0 15.4 Ft 1.5" 11.38" x 6.29" x 6.69"